Dubai tours Dubai hotel packages. You may book any of the tours below ranging from 2 days simple shopping transit trip to 15 days lengthy culture adventure and leisure tours. All tours are guaranteed to depart there is no minimum number of participants. There are usually 3-5 people on the tour but some times it may be just yourself in which case you will need to pay a single supplement. Explore Dubai With our Half day and full day Excursions ranging from the city tours to Desert Safaris Dhow Cruise Dinners and Helicopter tours and fishing tour. Dubai is a place to explore and you can Explore it with us. Visit Dubai while you are transiting or you have a very short time. These Programs are designed to offer you more in short time. 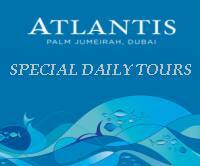 Tours Include Hotels Transfers and Extensive touring in Dubai. We can also Tailor make your tours according to your wished. Learn and Explore the Arabian culture in The UAE visit the modern Dubai and remove Masafi and the UAE's culture hubs like Abu Dhabi & Al Ain. Visit the old Historical building and Traditional customs. Our guides will give you knowledge of all aspects of Emarati culture. Contact us . Burj Al Arab the 7 star luxury hotel of Dubai is the land mark of Dubai stay for you for 2 nights thank transferred to Al Maha desert resort an other fine place of stay where you will experience the desert with utmost luxury. Contact us to book this tour. Visit Dubai with usual Safari and shopping later embark on a true Arabian experience in the Emirates of Al Ain and Abu Dhabi visit the history and culture of Emirates . This is a in-depth historical tour of the Arabian land you will begin with Dubai later will visit the historical cities and sites of Emirates and cross the border of UAE to Oman where you will explore and learn the trends and traditions of the Arabian culture. Contact us to book this tour. Dubai Hotel inspired by French architecture an interesting out look to see Dubai's hotels buildings.